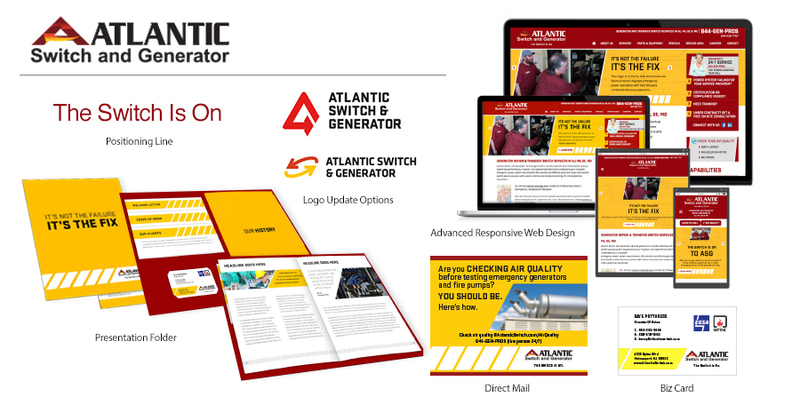 Atlantic Switch and Generator LLC’s sales team needed something to leave in the hands of prospects (hospitals, apartment complexes, casinos, etc.) after making a sales call. The client requested a folder with pockets. What claims were competitors making? What were the strategic positions to which competitors were laying claim? What was it that ASG is really selling? Why would any prospect choose ASG over any competitor? How did ASG see itself? How did current accounts? Etc. including a unique, highly memorable construction featuring a 9×12 folder with pockets, a business card slit, an 8.5×11 saddle-stitched 4-page brochure called Our Story, plus 3 free-standing, stepped down inserts. 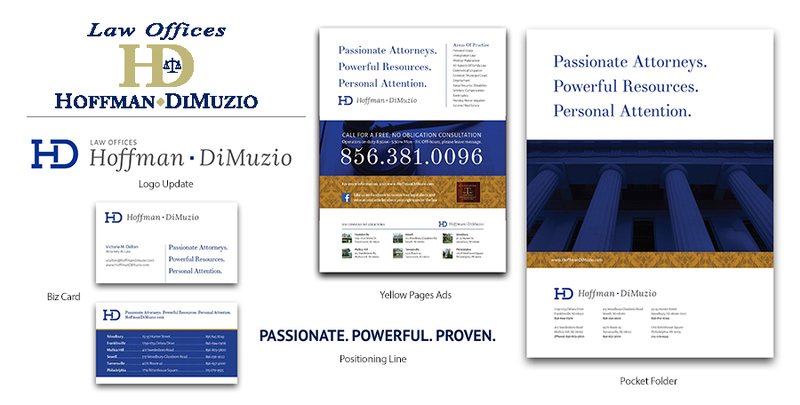 Hoffman DiMuzio is a venerable, full-service law firm in the southern NJ and Philadelphia region. However, multiple positioning lines were in use across varying media, as well as multiple logo versions. And, there wasn’t one, consistent look and feel. DMG proposed a corporate identity exploration in order to firmly establish the positioning line (slogan), personality and look and feel. 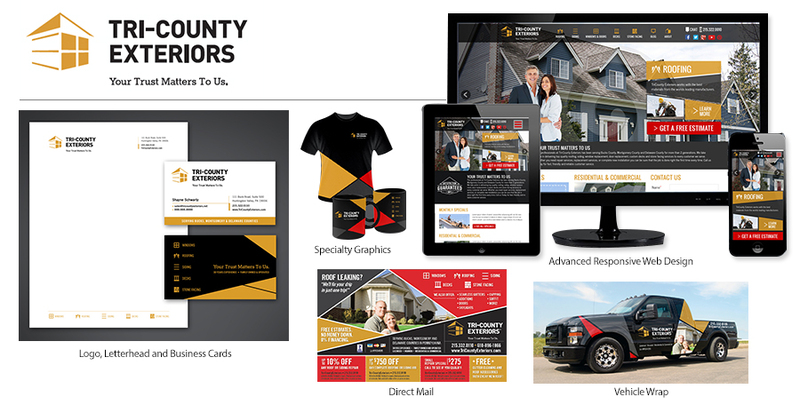 A branding effort from scratch, include the slogan Your Trust Matters To Us. 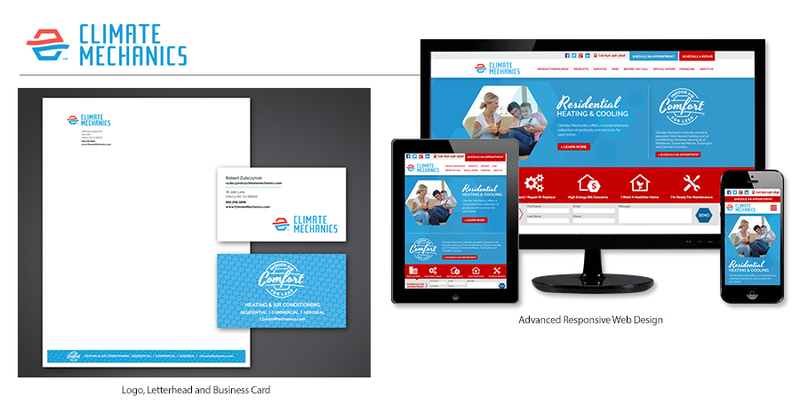 Logo, color palette, tag line Indoor Air Comfort For Less, and advanced responsive web design.